» Faculty of Medicine » Home » How are Canada’s doctors being trained to address the needs of marginalized populations across the specturm of medical education? Jutras, M. How are Canada’s doctors being trained to address the needs of marginalized populations across the specturm of medical education? UBCMJ. 2016: 7.2 (42-43). 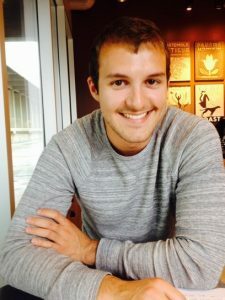 Marc Jutras completed his Bachelor of Business Administration (BBA) degree at Simon Fraser University in 2014, with a joint major in Psychology. He began studies as a medical student in September 2014, and is currently enrolled in UBC’s Southern Medical Program in Kelowna, BC. Since he began his medical studies, he has been actively involved in conducting research at the BC Cancer Agency in Kelowna on the use of novel diagnostic imaging techniques for the early detection of lung cancer. In addition to diagnostic imaging, he also has a keen interest in the economics of healthcare delivery. Despite frequently being lauded as one of the premier healthcare systems in the modern world, the Canadian healthcare system continues to face several challenges with regard to disparities in access and outcome among the various social cohorts in the country. In particular, a stratification of society based on factors such as income, education, race, or LGBTQ status, to name a few, continues to demonstrate poorer overall health outcomes and health status among Canada’s marginalized populations.1,2 Given that the Association of Faculties of Medicine of Canada (AFMC) has recently undertaken a comprehensive review of the entire Canadian medical education system—including undergraduate medical education (UGME), postgraduate medical education (PGME), and continuing professional development (CPD) for licensed physicians—an examination of what is being done to address the needs of marginalized populations at the various levels of medical training appears timely. In 2010, the AFMC published a set of ten key recommendations aimed at fostering change within the UGME system to achieve better congruency between society’s healthcare needs and the training of future physicians.3 Many of these recommendations are directly relevant to the topic of marginalized populations, including the goal of addressing individual and community needs through increased social responsibility and accountability, an increased focus on diversifying learning contexts, and the promotion of medical leadership among students. Although these recommendations were intended to serve as unifying guiding principles, the AFMC noted in its report that each of the 17 Canadian Faculties of Medicine would undoubtedly implement each recommendation in their own unique way, and it is interesting to examine how this is being accomplished in various faculties across the country. ...each of the 17 Canadian Faculties of Medicine would undoubtedly implement each recommendation in their own unique way, and it is interesting to examine how this is being accomplished in various faculties across the country. Following an extensive review process, in 2012 the AFMC also released a set of ten recommendations for improvement specifically targeting PGME, many of which paralleled the recommendations in the 2010 report on UGME.9 Perhaps most relevant to the discussion of marginalized populations, the 2012 report noted that many rural, refugee, elderly, and First Nations populations all face significant barriers when it comes to accessing healthcare, and a renewed focus on ensuring that services in Canada are available in the correct locations and proportions to provide for those that need them most will be paramount moving forward.9 In light of this, many faculties have begun to adopt a more distributed training model at the PGME level, including the University of British Columbia, the University of Saskatchewan, and McMaster University, among others, who have all increased the number of residency spaces in various rural and remote locations throughout their respective provinces in recent years. At the time of the writing of this article, the AFMC is currently conducting a review of the CPD system in Canada as well, and it will be interesting to observe what specific strategic recommendations are ultimately derived from this review. Canada is a vast country, both in geographic range and in the complexity of its social constitution, and the efficient delivery of healthcare can certainly be challenging against such a backdrop. Although the Canadian healthcare system is admired internationally for the significant positives it achieves, there remain many disparities in access and delivery among the country’s marginalized populations that require improvement. Through objectives aimed at addressing community needs through social accountability, increasing diverse learning experiences, and fostering leadership at all levels of the medical education continuum, it is hoped that progress will continue to be made towards achieving these ends. Mulé NJ, Ross LE, Deeprose B, Jackson BE, Da- ley A, Travers A, et Promoting LGBT health and wellbeing through inclusive policy devel- opment. Int J Equity Health. 2009;8(1):1-11.